On our last show we talked about the particular ways of thinking and acting that make some women more personally and professionally prosperous than others. Now we’ll find out what gives men an edge on success from David Lee, President of Human Nature at Work. Please join us! Are their particular ways of thinking and acting that make some women more personally and professionally prosperous than others? Bonnie Marcus, Forbes blogger and president of Women’s Success Coaching, will share what she knows about giving women an edge in business, life and of course money. Val Walker, award-winning author of “The Art of Comforting”, joins Jane and Amy to offer guidance on how to establish real human connection in even the most difficult and chaotic situations. With clarity, compassion and wisdom, Val will discuss how to comfort ourselves and others beyond just trite encouragement. Join Your Money & Your Life co-hosts Jane Honeck and Amy Wood explore how to offer and find solace during times of financial stress. The trick to attracting prosperity is to strike a balance between working on your goals and trusting that “Something Greater” is helping you along. Join Your Money & Your Life co-hosts Jane Honeck and Amy Wood and we’ll share our secrets for combining striving toward prosperity with letting it happen. How we think about money drives every aspect of life. Negative money beliefs like “I’ll never have enough” or “I’m bad with money” are the same beliefs contributing to relationship, career, and health problems. Being a whiz with numbers helps, but what really makes people prosperous is the right mindset. We all have a basic money style we lead with. Sometimes our money approach works well for us but sometimes it gets in our way. Join co-hosts Jane Honeck and Amy while they explore the four basic money styles and how they contribute to our overall financial health. Discover your style and learn how to use it every day to bring financial peace and balance. All of us have negative money beliefs – I don’t deserve money, I’ll never get out of debt, for example – that we’re trying to turn around so that we can attract better financial circumstances. 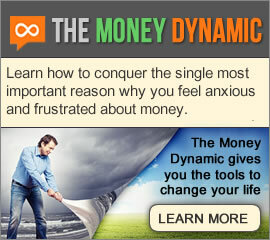 This show gives you fun and powerful ways to practice your new and improved money beliefs until they stick. “Conscious Spending” A better relationship with money begins with awareness. When we pause before spending, we get to the bottom of our buying needs and determine which impulses are worth acting on. Join Your Money and Your Life co-hosts Jane Honeck and Amy Wood and learn how to improve your money decisions simply by reflecting before you react. Financial problems are a leading cause of divorce, but you don’t have to be a statistic. Join your hosts Jane Honeck and Amy Wood of Your Monday & Your Life and hear harmonious solutions to common marital money woes. Thought-provoking discussion about money beliefs and values…including Mitt Romney’s possible beliefs around money. How we think about money drives every aspect of life. Negative money beliefs like “I’ll never have enough” or “I’m bad with money” are the same beliefs contributing to relationship, career, and health problems. Being a whiz with numbers helps, but what really makes people prosperous is the right mindset. How we think about money drives every aspect of life. Negative money beliefs like “I’ll never have enough” or “I’m bad with money” are the same beliefs contributing to relationship, career, and health problems. Being a whiz with numbers helps, but what really makes people prosperous is the right mindset. 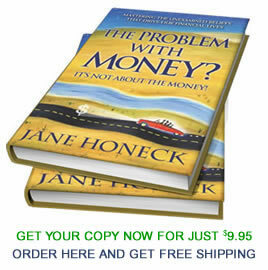 Co-hosts Jane Honeck,CPA and author of The Problem with Money? It’s Not About the Money! and psychologist Amy Wood, author of Life Your Way will help you transform your financial life.